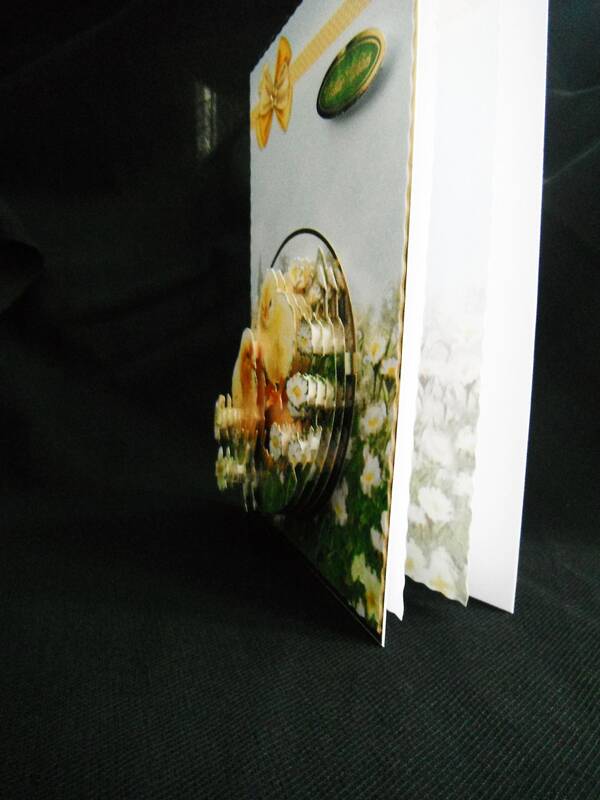 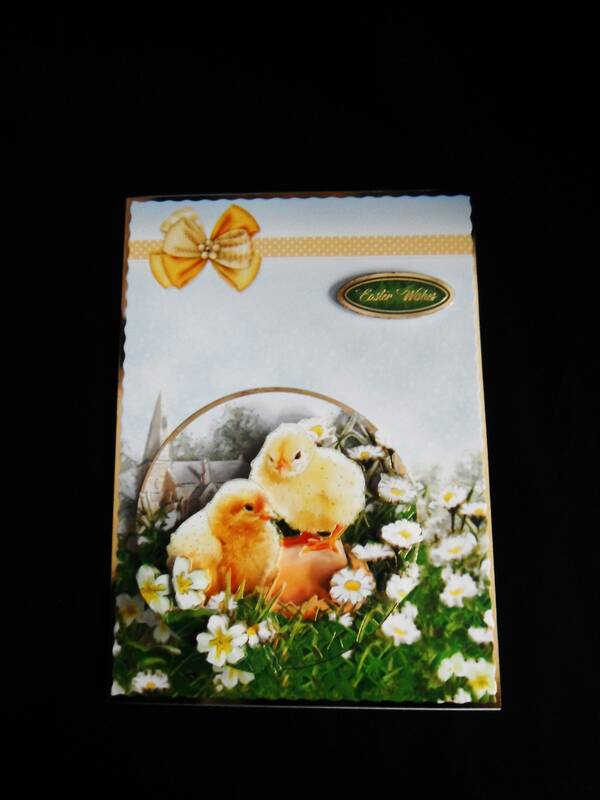 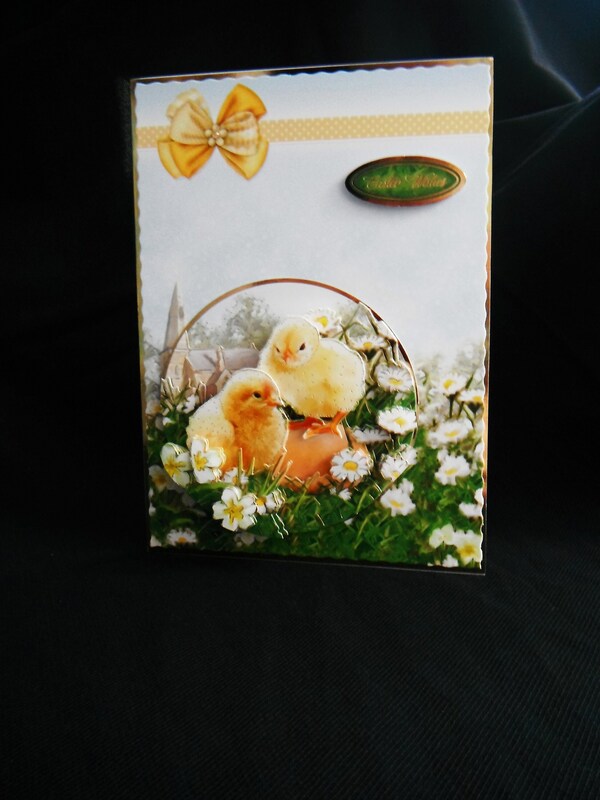 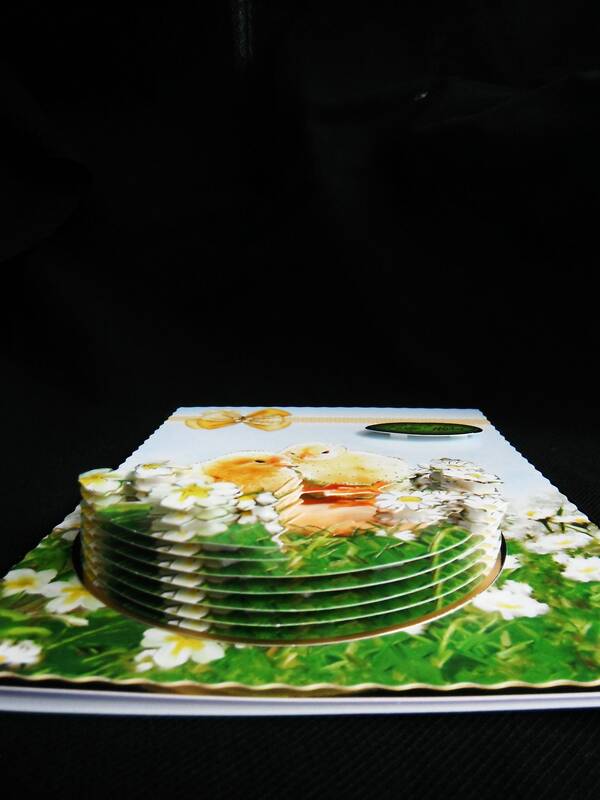 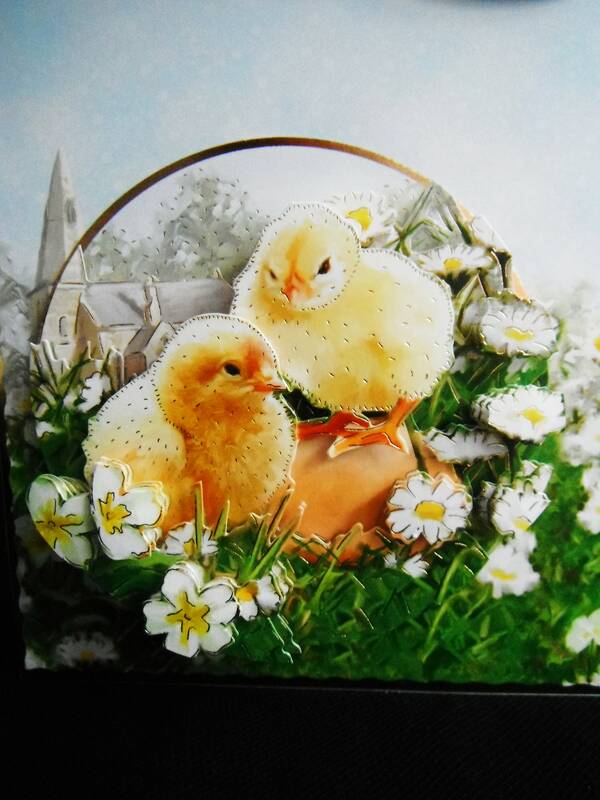 A 3D decoupage card of Easter chicks, made from white base card and layered with gold card and patterned card, with a large round topper with the decoupage in several layers to give dimension to the card. 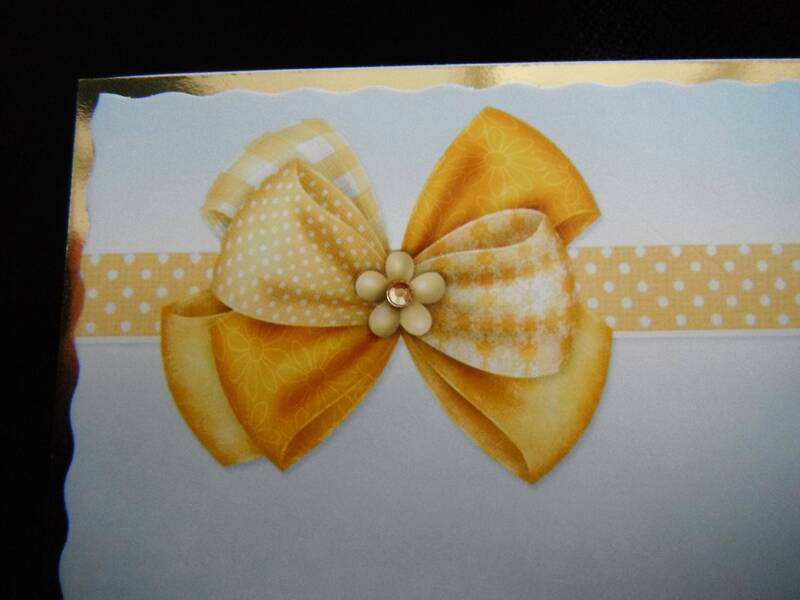 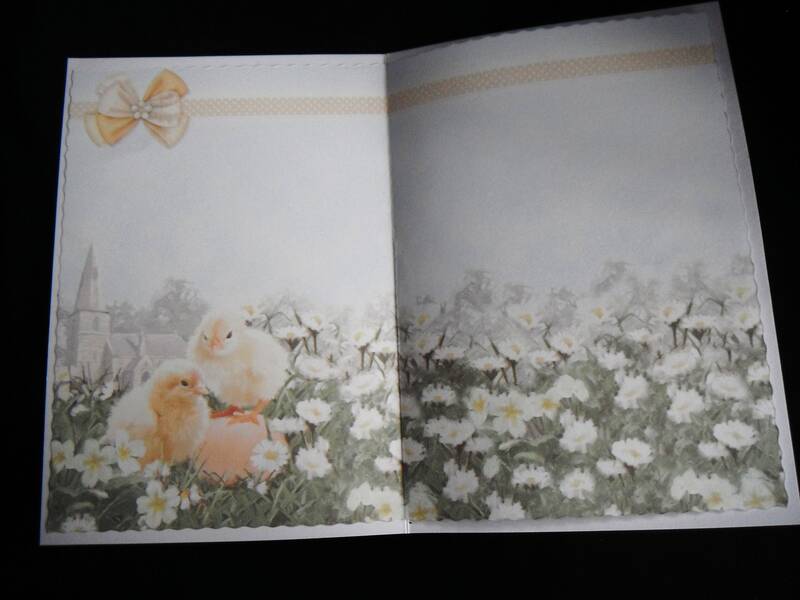 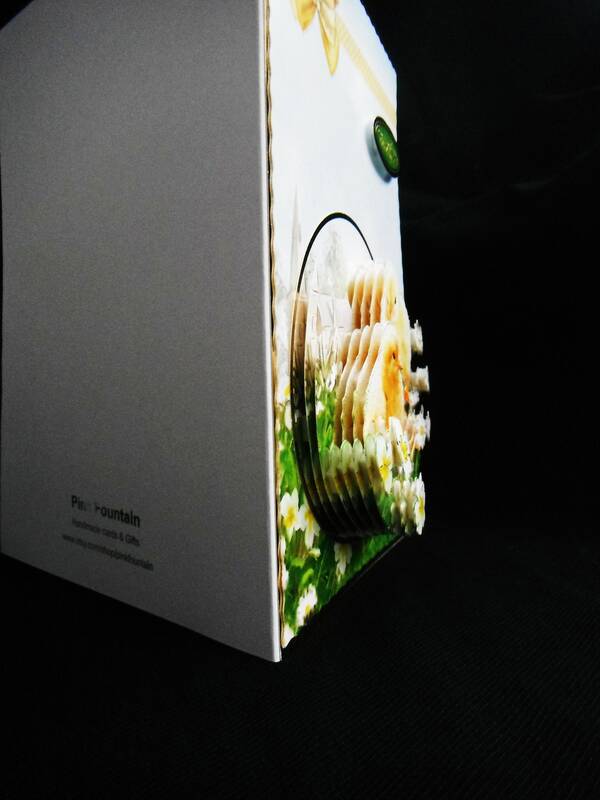 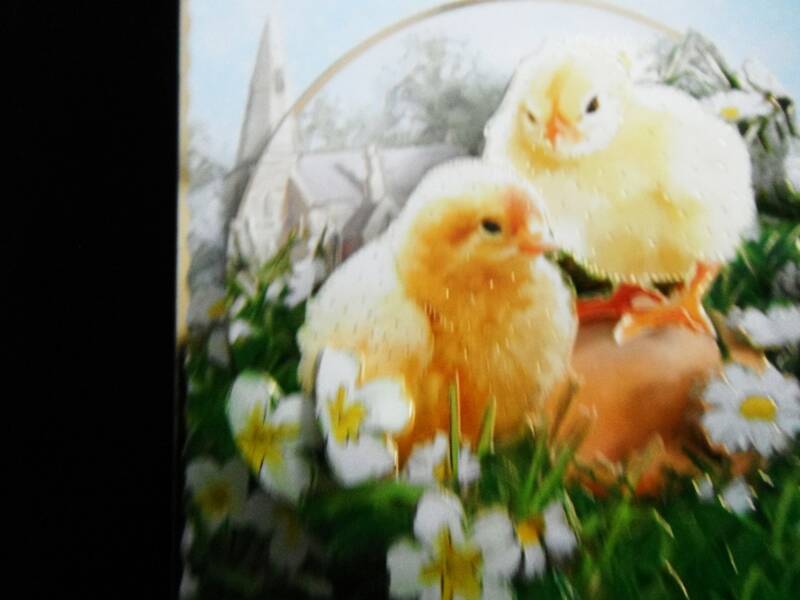 At the top of the card is a sentiment which says,' Easter Wishes'. 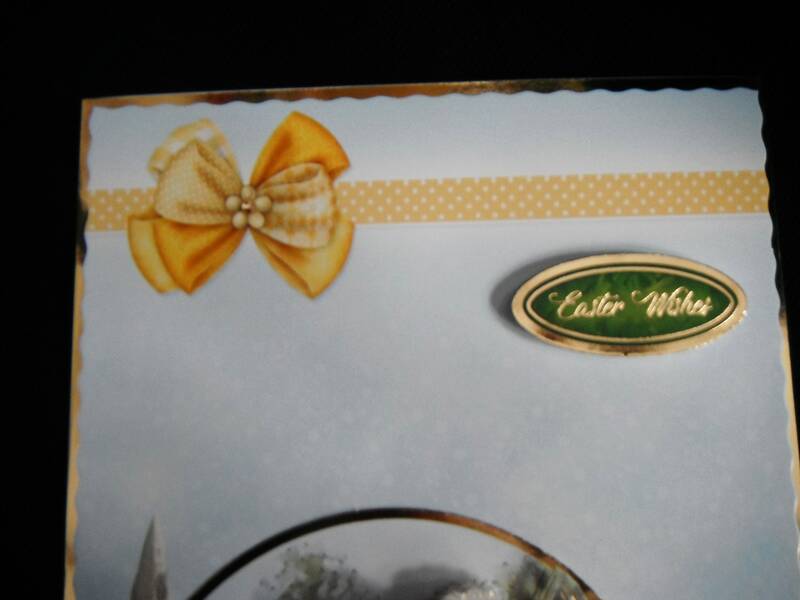 And a small crystal embellishment in the centre of the bow.